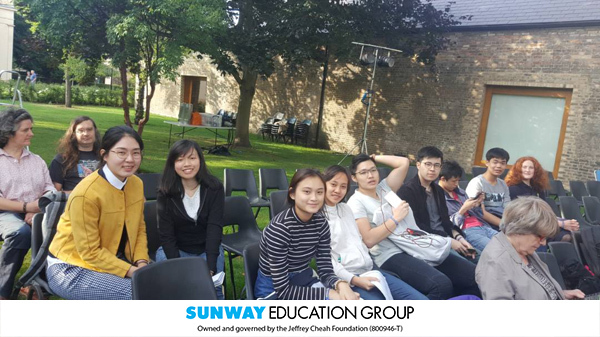 Many activities were planned and lined up to enable them to gain leadership skills and knowledge to enhance their academic success. Our first day in Oxford started with a warm reception and a tour of Keble College, which was our lodging place in Oxford. After a hearty dinner of Western food. 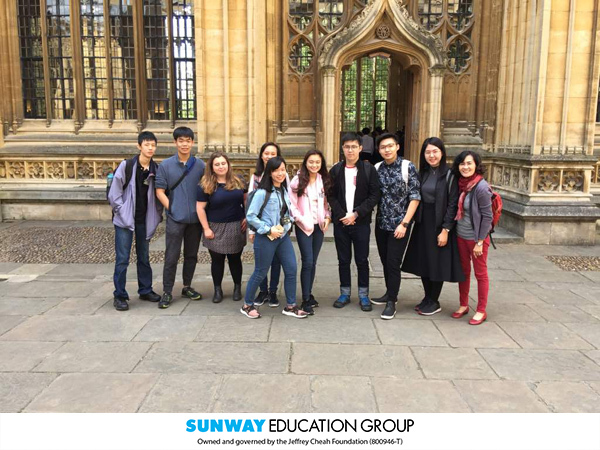 we went on a walking tour in central Oxford. Among some significant places and memorable iconic medieval buildings that we visited were the Radcliffe Camera and Bodleian Library, Ashmolean Museum of Art and Archaeology view world famous objects dating from 8000 B.C. to the present day including the World`s greatest collection of Raphael drawings. 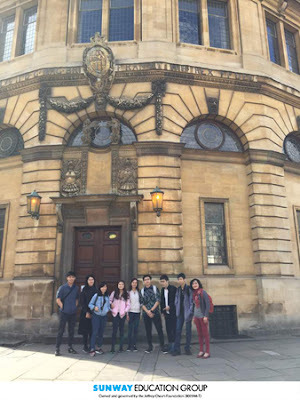 The supposedly frightening ghost trail of Bill Spectre `s world-famous Oxford Ghost Trail turned out humorous and fun. Nevertheless, we did learn about the “Darker history of the dreaming Spires” led by a Victorian costumed guide. We were given the opportunity to walk around some of the oldest and best-known Colleges where Harry Potter was filmed. 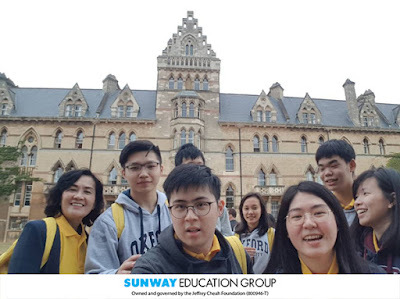 The Sunway group was blessed with a night stay at Imperial College in the city centre of London enabling us to visit some world famous landmarks: - a tour inside the House of Parliament, the seat of the British government. 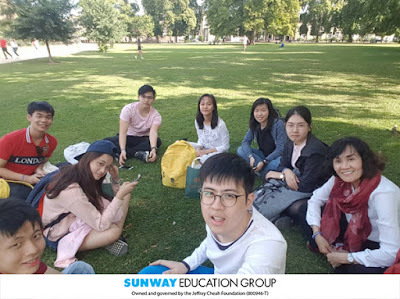 Science Museum where the students had the opportunity to learn about the History of Medicine, Robots, Mathematics, Engineering inventions, Future of Energy, Big Data; Walking tour of Big Ben and the Buckingham Palace. 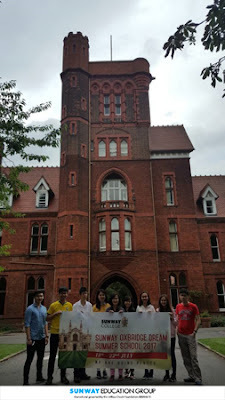 In Girton College, Cambridge, classes began with stimulating subjects taught by inspirational Cambridge lecturers; Academic English lessons to improve essay writing, research and note-taking; participants were mentored by Cambridge students, integration with students from local British schools and from other countries; university admission advice, personal statements and interview practice, hands-on interactive workshops such as the Business Challenge where our students prepared and pitched their ideas to gain maximum investment. 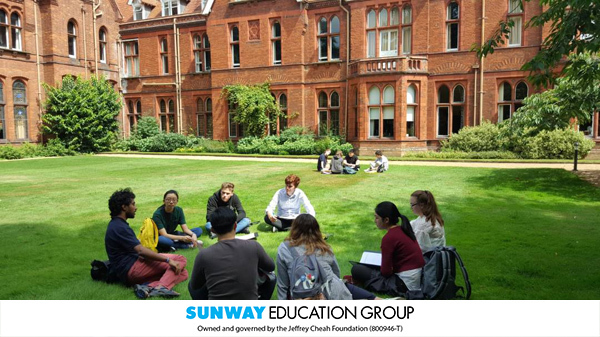 Having a day on outdoor activities through sports with the aim of harnessing leadership and organisational skills. 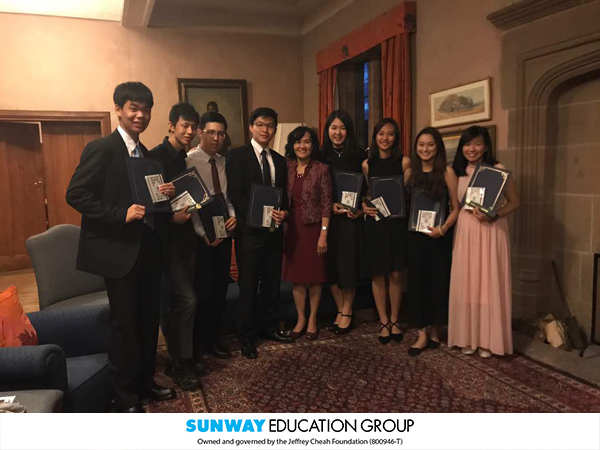 The Summer School Programme ended with a `Silver Service` candlelit dinner followed by a formal presentation of certificates. Personal Reports and Awards. To sum up on how the Sunway Oxbridge Dream Summer School has benefitted the participants, it has certainly stretched them beyond limits to greater heights and motivated to dream big to aspire great things.